The Roman Inquisition Society stands in solidarity with the Geocentric Society. We support them in condemning the actions of the Astronomy Society in extending an invitation to Professor Galileo Galilei to speak on campus, and agree that hosting known geocentrophobes at our university creates a climate of hatred. 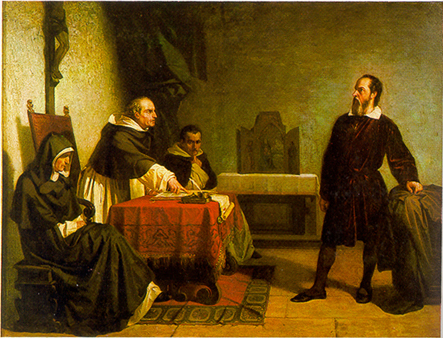 A spokesman for the Roman Inquisition Society told us that the publication of Galileo Galilei’s new book Dialogue On The Two Chief World Systems showed that Professor Galilei, was “nothing but a reactionary Heliocentrist of the worst stripe”. The spokesman went on to say that an event where Professor Galilei would be able to speak “uninterrupted and unopposed, possibly for several whole minutes, on the supposed ‘reality’ of the Earth’s motion around the Sun” would be in direct contravention of stated Student Union policy which does not grant a platform for speech which could be interpreted as being “disruptive to social and community harmony”.